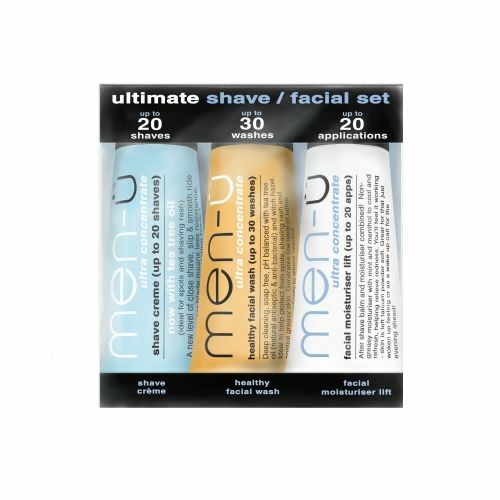 Men-U Matt Refresh & Moisturise Set contains 3 x 15 ml tubes of Men-U's leading mattifying facial products. If you have oily skin or have a shiny complexion and you're looking for something to solve it - you've just found it. 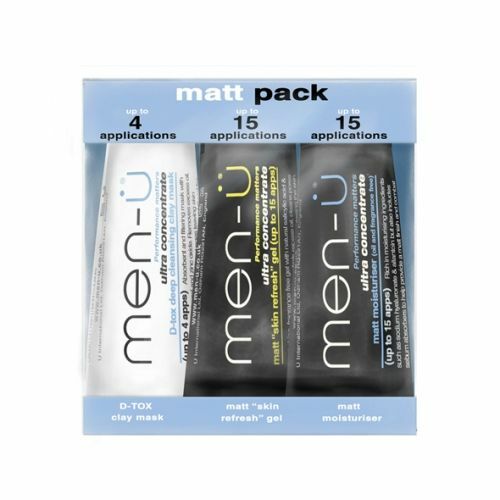 Men-U Matt Refresh & Moisturise Set contains Men-U Healthy Face Wash, Men-u Matt Skin Refresh Gel and Men-U Matt Moisturiser. All 3 work in tandem to control excess facial oil and keep your complexion 'matt'. This sample size collection of Men-U's award winning grooming products is the perfect way to introduce yourself to the Men-U collection. It contains a facial wash, skin refresh gel and a matt facial moisturiser. All of the products are suitable for travel and all conform to airport security liquid restrictions.